(Cherry Crab x 'Sops of Wine') MN, 1860. 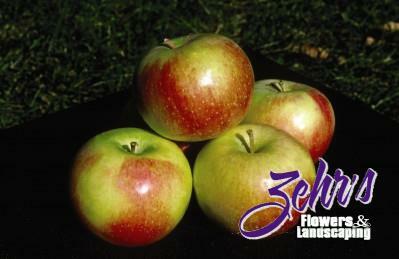 The first commercial apple variety developed in MN. Striped red fruit with a tart balanced flavor. Multi-purpose apple but especially good for cooking. Often bears fruit the first year. Keeps well. Fruit tends to drop at maturity. Good success in zone 3b.